I almost thought it wasn’t going to happen. It was the last day of a June holiday on Islay and it had rained the whole day. Suddenly I noticed an orange reflection on the north west facing side of Kilchoman House, opposite the cottage I was staying in. 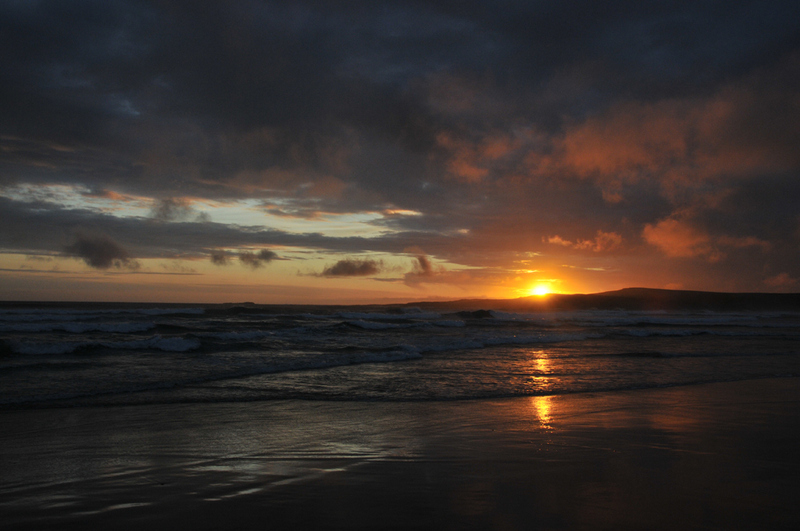 I grabbed my camera and raced down to the beach in Machir Bay (Saligo would have been too far). It was worth it. This was one of the views I managed to capture, it was a wonderful 20 minutes or so while the sun set behind Coull Point. A great end to an Islay holiday. This entry was posted in Beaches, Cloudy Weather, Landscape, Repost, Sunset and tagged Coull, Islay, Kilchoman, Machir Bay by Armin Grewe. Bookmark the permalink.